Writer-director James Gunn’s Guardians of the Galaxy Vol. 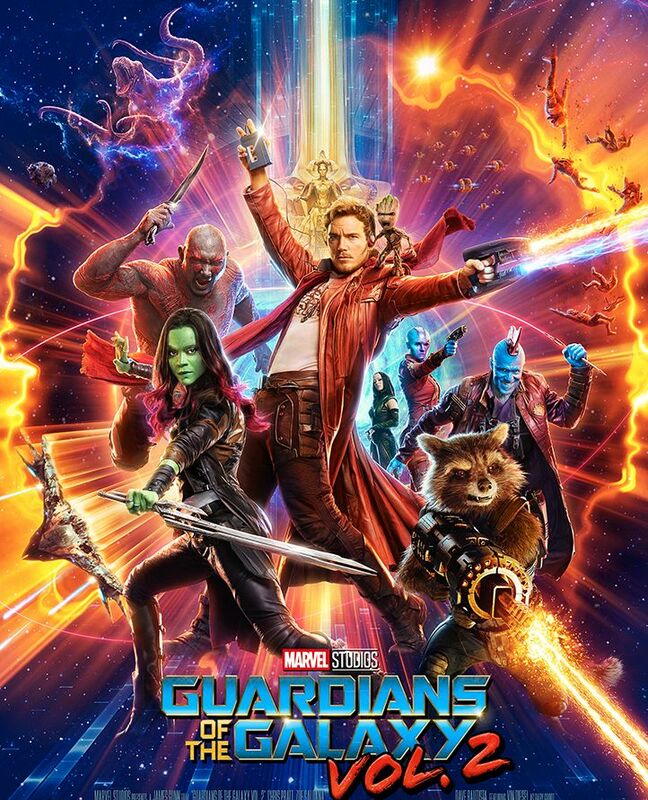 2 continues the action-packed, irreverent, epic space adventures of Peter Quill aka Star-Lord and his gang of eccentric characters as they patrol and protect the universe, doing mercenary work in the wake of the popularity and fame they garnered from saving Xandar. 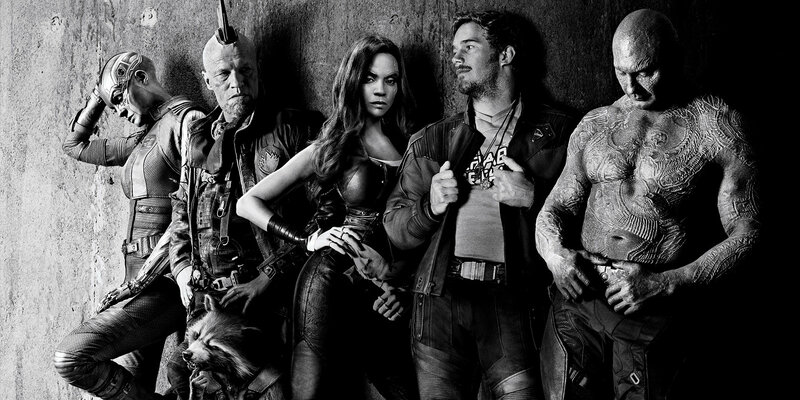 When the uniquely creative and original film was released in the summer of 2014, Guardians of the Galaxy became a worldwide box-office sensation, with audiences warmly embracing the eccentric cast of intergalactic characters. James Gunn is the prolific filmmaker behind some of pop culture’s most notable feature films. Born and raised in St. Louis, Missouri, Gunn began his filmmaking career at the age of twelve by making a zombie movie with an eight-millimeter camera and an actor, his brother Sean. Thirty years later, Gunn brought to life what is now turning into one of the most memorable franchises in the Marvel Cinematic Universe, Guardians of the Galaxy. Set to the backdrop of Awesome Mixtape #2, the story follows the team as they fight to keep their newfound family together while traversing the outer reaches of the cosmos to unravel the mysteries of Peter Quill’s true parentage. Old foes become new allies and fan-favorite characters from the classic comics will come to our heroes’ aid as the Marvel Cinematic Universe continues to expand. Created by Arnold Drake and Gene Colan, the Guardians of the Galaxy were introduced in 1969 as a team of heroes in the 31st century—each member the last of its kind. With the phase two expansion of the Marvel Cinematic Universe, The Guardians of the Galaxy was the first franchise introduced outside of the core Marvel cornerstone characters. The film was also a dramatic departure in tone and style from any previous Marvel film franchises. Looking back to the development of the franchise, Feige acknowledges it wasn’t always an easy sell. “I knew where I wanted the story to go before the first film was out in theaters,” explains writer/director James Gunn. The Guardians of the Galaxy successfully introduced the world to an eccentric group of selfish, self-interested, un-superhero like characters who are thrown together with the task of saving the entire galaxy. For Guardians of the Galaxy Vol. 2 director James Gunn was tasked with delivering a story that continued not just their exploits, but their evolutions as characters as well. When Gunn delivered his initial treatment for the story, it was a hit with his fellow filmmakers. “What I loved about James’ vision for the film was that it was everything you love about the film—the characters, the humor, the action, the music—but it also evolved the story and franchise in a really interesting way that felt completely organic,” says executive producer Jonathan Schwartz. “I think one of the big advantages that James had the second time around was that he could write the script specifically for all of the actors’ voices,” adds executive producer Nikolas Korda. And now what can fans expect from the highly anticipated sequel’s storyline? Producer Kevin Feige gives some hints: “When we started turning the wheels on a sequel, there were some very obvious clues at the end of the first film where the storyline could go. Peter talks about his father. Glenn Close, Nova Prime, tells us something very ancient, very unusual. Yondu tells us that he purposefully did not deliver Peter to his father. So James went back and started to work on where that would take us in a storyline. And it takes us to a place where we meet the Guardians only a few months after the events of Guardians 1. “We meet them in the midst of a job, and we introduce some new villains. And more importantly we introduce some new heroes, most importantly Mantis, who is an amazing new addition to the Guardians. Returning characters Yondu and Nebula play surprising new roles in the film, and we continue to deepen the relationship between Peter Quill and Gamora, which we’ll see more of. “Also we further the evolution of Rocket, who is not the nicest raccoon around, but who certainly has a begrudging loyalty to his team. Then we meet a new version of our beloved Groot who has crawled out of the little pot that we saw him dancing in in the first film and now is our new Baby Groot for this film,” Feige concludes. As the cast returns to inhabit the colorful, unique, dysfunctional Guardians characters, there is a new dynamic. The first movie was about becoming a family and “Guardians of the Galaxy Vol. 2” focuses on being a family. And that’s exactly what audiences will discover as the characters’ relationships unfold, starting with Peter Quill aka Star-Lord, who faces a family issue that he is compelled to resolve—his true parentage. Chris Pratt reprises the role that propelled him into Marvel fandom and leading-man status. Zoe Saldana returns to the role of the deadly, green-skinned assassin Gamora, another character dealing with family issues related to the fact that her adoptive father is Thanos and her sister is Nebula. Dave Bautista is back as the physically intimidating, tattoo-covered Drax. When it comes to voices, James Gunn knows Rocket’s better than anyone as the director has many times professed that there is a little bit of himself in the character. Rocket, a tortured little beast who’s been torn apart and put back together, is still incredibly funny and heartfelt at times, particularly as voiced again by Academy Award® nominee Bradley Cooper. A scene stealer in “Guardians of the Galaxy” with only the same three words of ‘I am Groot,’ was the wise, old, talking humanoid tree creature Groot, voiced by Vin Diesel. Despite his unique appearance and extremely limited communication skills, Groot embedded himself in the heart of audiences around world with just those three little words. A valuable ally and a loyal friend to Rocket and the Guardians, the character makes the ultimate sacrifice and returns in the sequel as a baby Groot. 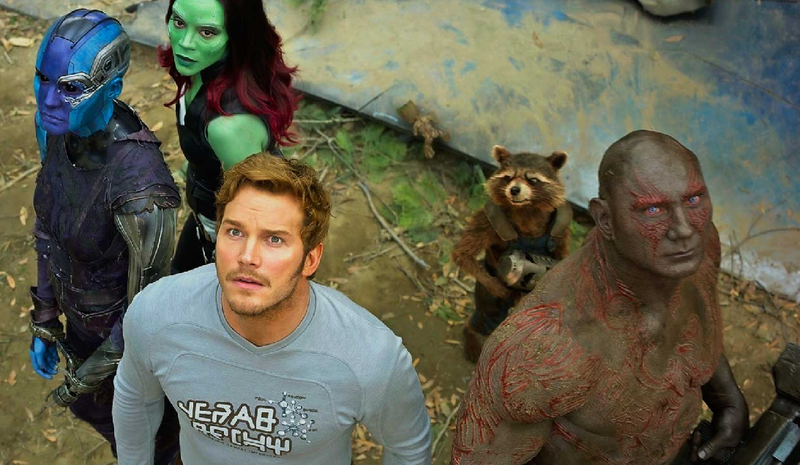 What can audiences expect when the Guardians of the Galaxy blast back into their lives?